Walgreens has a HOT deal available that ends tonight (11/25)! Get a FREE 8X10 photo collage! This would make a great gift for grandparents if you put it in a nice photo frame! 3. Enter the code RGIFT2U at check-out to get it free! Choose to pick it up in store to save on shipping! You can also save on other photo gifts. Calendars are 50% off, and you can get 30% off other photo gifts and cards. If you’re new to ShopAtHome.com, you’ll also get a $5 cash back bonus after your first purchase, which means you can grab extra photo gifts for FREE! 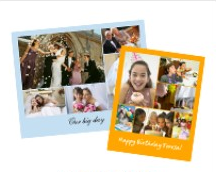 Walgreens: Free 8X10 photo collage! Walgreens: 25 free photo prints! 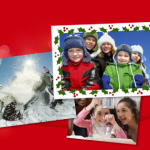 Walgreens: Get 40 FREE photo prints! 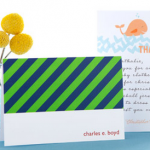 FREEBIE ALERT: 3 free stationery items from Tiny Prints! 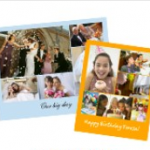 FREEBIE ALERT: 25 free photo prints from Walgreens!